Woohoo! 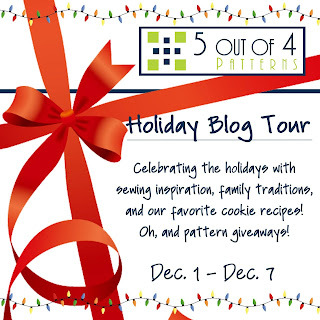 You made it to the last stop on the 5 out of 4 Holiday Blog Tour!!! There have been so many beautiful makes, lovely traditions, and some delicious cookies. Today I get to to share with you something a little different... because we all know, I do what I want. 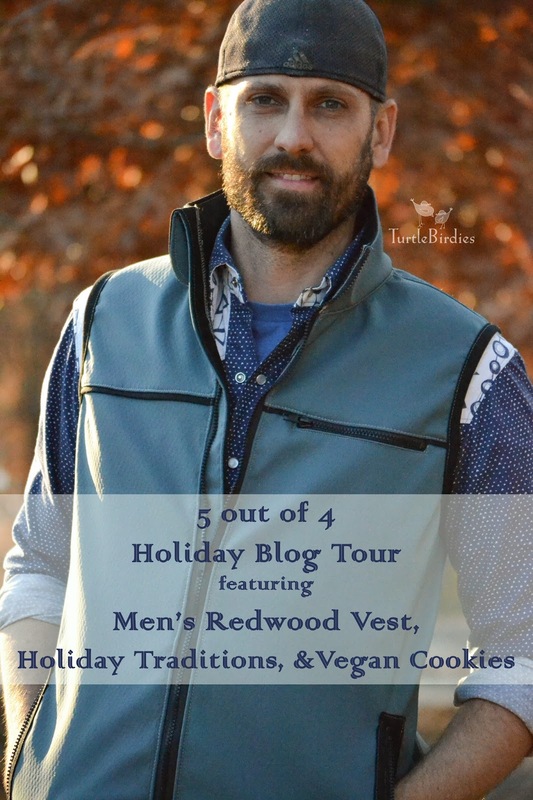 I've got a hacked Redwood Vest, a little bit about our (not-so-normal) holiday traditions, a delicious vegan cookie recipe, and perhaps a pattern giveaway. For the tour I made a 'version' of the Men's Redwood Fleece Vest. I wanted to make something for my wonderful, supportive husband, who often gets left out of my sewing adventures. He just had a birthday and this seemed like a perfect opportunity to make him something special. He also likes vests and I had yet to make a Redwood, so it was the perfect opportunity. And besides that 5oo4 men's patterns are awesome. So, modified the Redwood just a little. Okay, okay, it's more than a little. I had this vision and... I have to say, I really like how it turned out. Maybe one day, when I have some extra time (haha) I'll write up a how-to for the changes. The Redwood has options for a plain or color blocked front and back. I added a stretch cotton twill piping to the colorblock to make the seaming stand out. 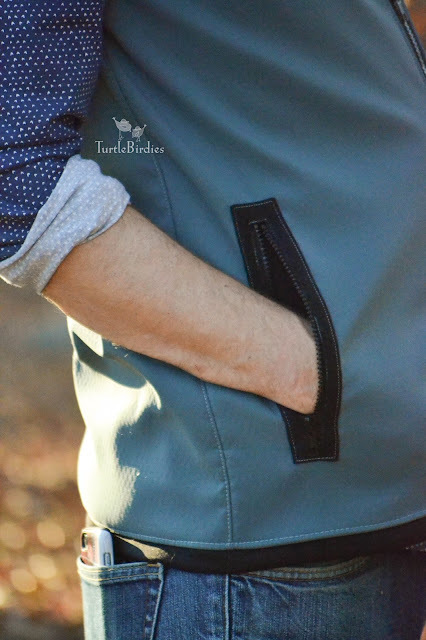 The zippered front pockets are great for keeping his hands warm. I modified these by putting the pocket facing on the outside to tie into the black accents. I also extended the zipper shield the length of the front of the jacket to keep wind out. I really like how the piping and the zippered chest pocket appear as one line. Now, let me tell you about the fabric, because it's obviously not fleece. I have been on a hunt for softshell fabric (in the US) for a while. 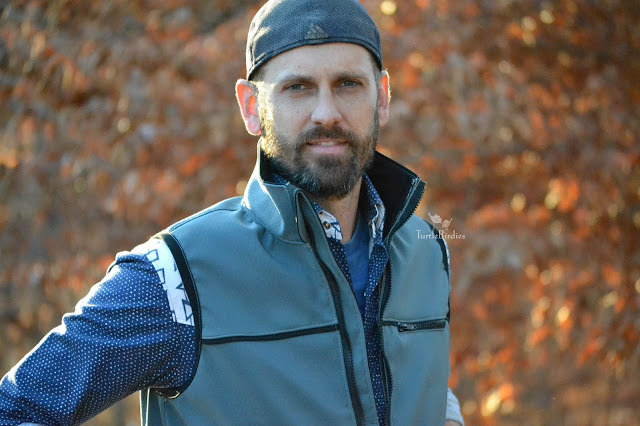 I finally discovered something from Fashion Fabrics Club called Polartec Softshell Fleece. I decided to risk it and I'm happy I did. It's not exactly what I was expecting, but it's really nice. 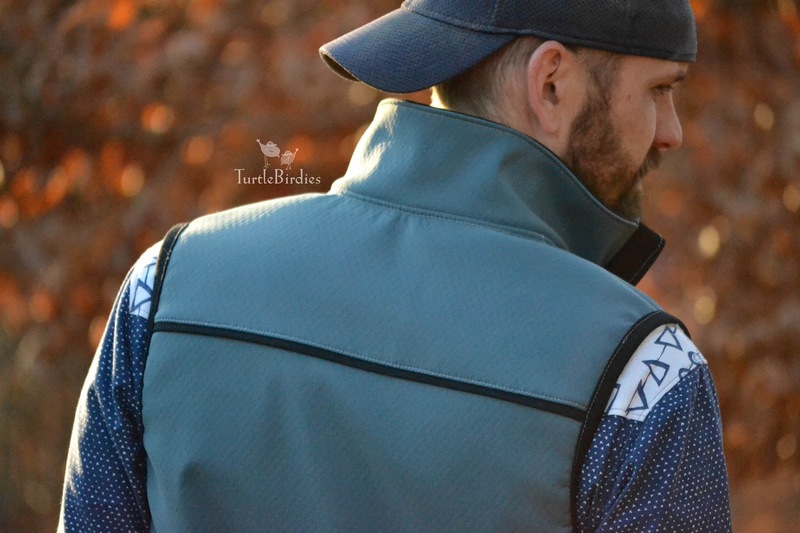 The shell side is both wind and water resistant (I know, it doesn't even have sleeves or a hood, but he likes vests) and the soft side is this fuzzy, fluffy stuff sort of halfway between minky and faux fur. It has about 10% mechanical stretch across the grain. Interesting, but also warm and cozy. I hope you like it and are inspired to think outside the box next time you make something. The Redwood is available for the whole family with the Women's Aspen Vest and the Kid's Willow. 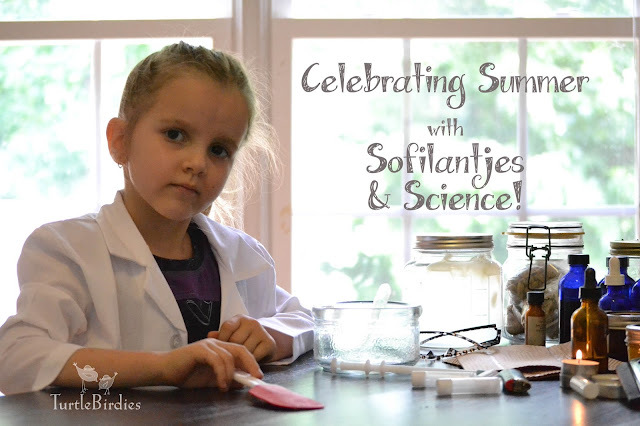 Check them out and make a few for your family. I'd love to see what you come up with. At our house we celebrate the winter solstice and christmas. We focus on the changes of the earth and the change of the seasons. We cut snowflakes out of construction paper and hang them around the house, and decorate big tree with ornaments and a big star on top. Our tradition for the winter solstice (the longest night of the year) is to have a sort of feast, usually including our version of Bare Tribe's Winter Solstice Pot Pie, maybe a roasted butternut squash soup, a nice winter salad and some sort of apple dessert. We burn last year's yule log or light a candle and keep it lit through the night. The next morning, to celebrate the return of the sun, we wake up before dawn and get ourselves to the highest point possible so that we can watch the sunrise while sipping wassail or hot chocolate. Then we go home and have a warm sunny breakfast of sweet golden grits with maple syrup or spiral apple bread. For our christmas celebration we hang stockings, make cookies for Santa, and exchange gifts christmas morning. Making cookies is definitely one of the favorite parts and we make a few kinds every year, but these happen to be a favorite. They are chocolatey, and chocolate cookies are my favorite. And they're VEGAN!!! 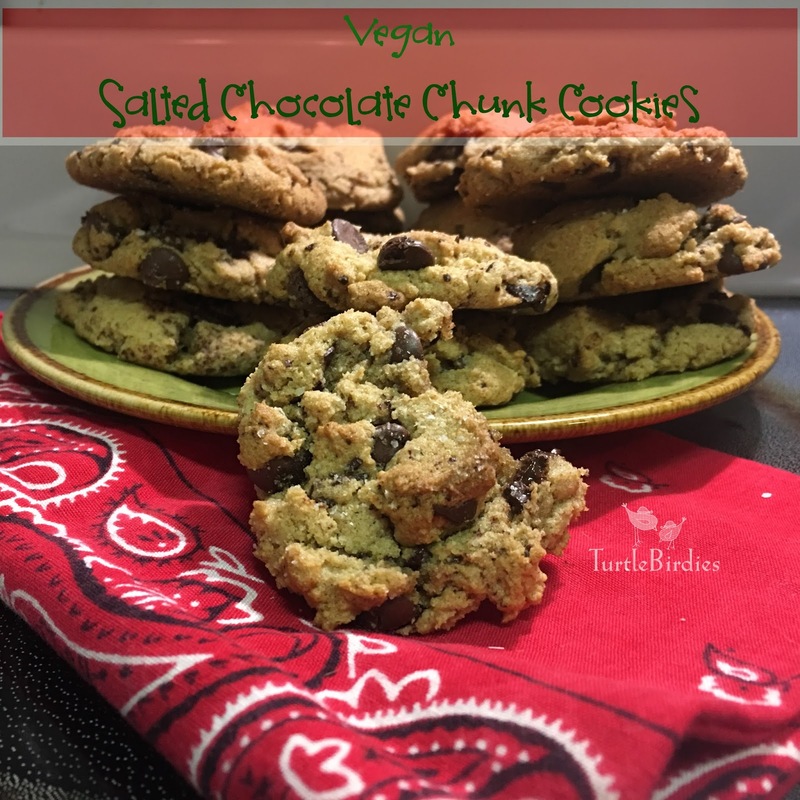 This is basically a vegan version of Seemingly Smitten's Salted Chocolate Chunk Cookies. Thanks for reading! I hope you enjoyed the tour and learning a little about everyone's traditions. 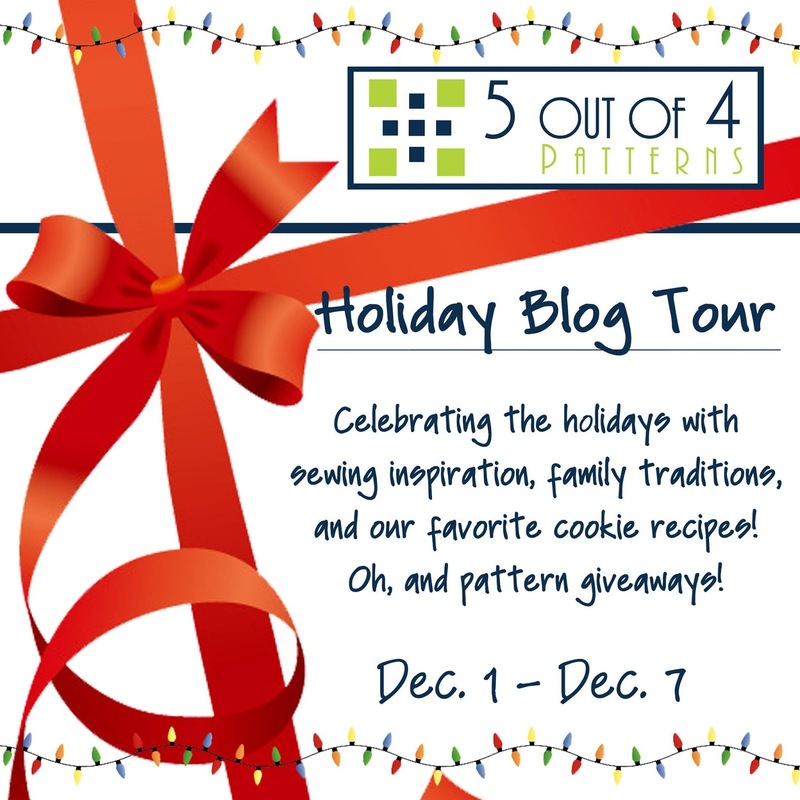 Leave me a comment below and tell me your favorite 5 out of 4 pattern (and how you would make it your own) for a chance to win one 5 out of 4 pattern of your choice. Winner will be chosen Dec 13, 2017. 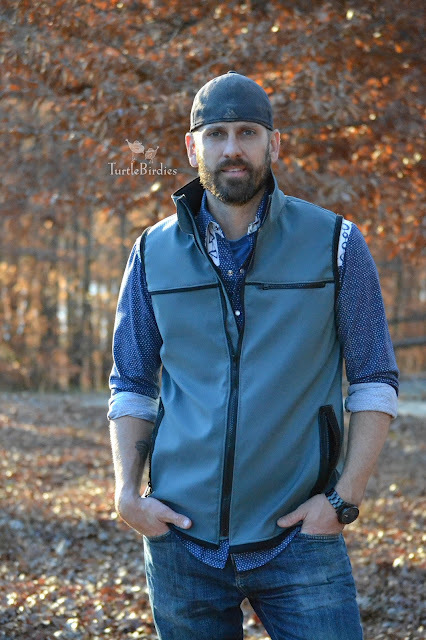 I would never have thought of making the vest from softshell fabric (actually, come to that, I've never seen any softshell fabric in my local fabric shop!). I appreciate the link for soft shell fabric. 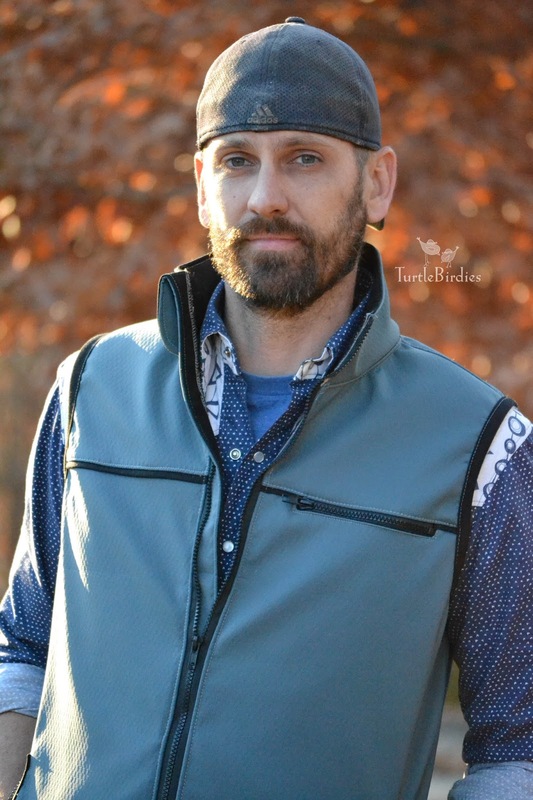 I was looking around online last week so I can make my husband a vest and my daughter a jacket! 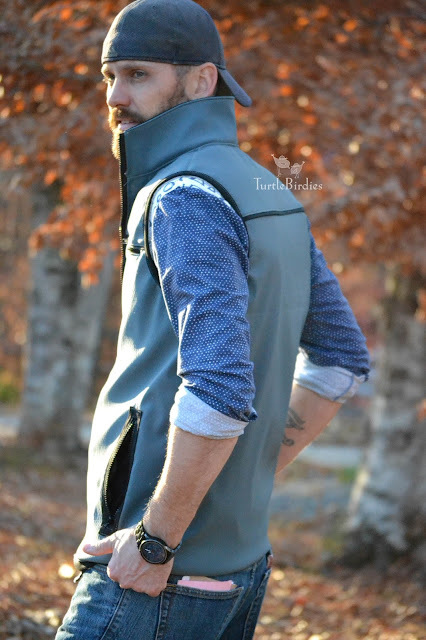 Love the vest! Great work on all the details! Merry Christmas to you! Agility tank is my favorite! I’d just do some cool fabric choices to make it my own. One pattern I dont have is the joggers: I’d love to try them in French terry, but make the legs straight from the knee and omit the ankle cuff. 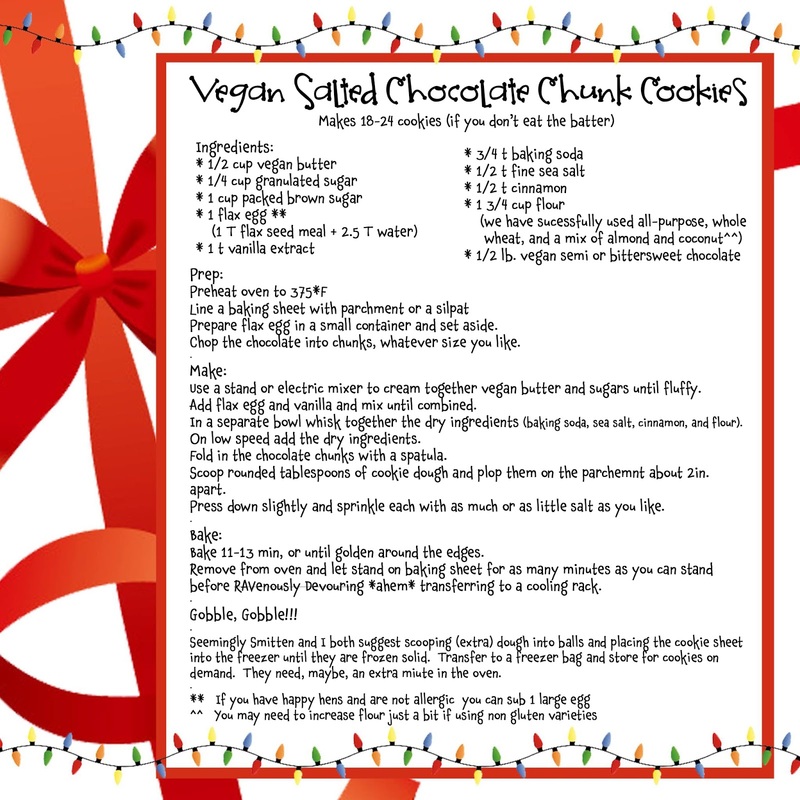 Thanks for the cookies recipe too— looks yummy! I would love to make the Sierra Pullover in a softshell. I think your idea of making the Sierra in softshell would be great. Also, you are the winner of the free pattern!!!! Please email Tasha your pattern of choice and make sure to include your email address associated with your 5oo4.com account so that she can add your pattern. Please post some pictures of what you make in the main 5oo4 group. I'd love to see how it turns out! 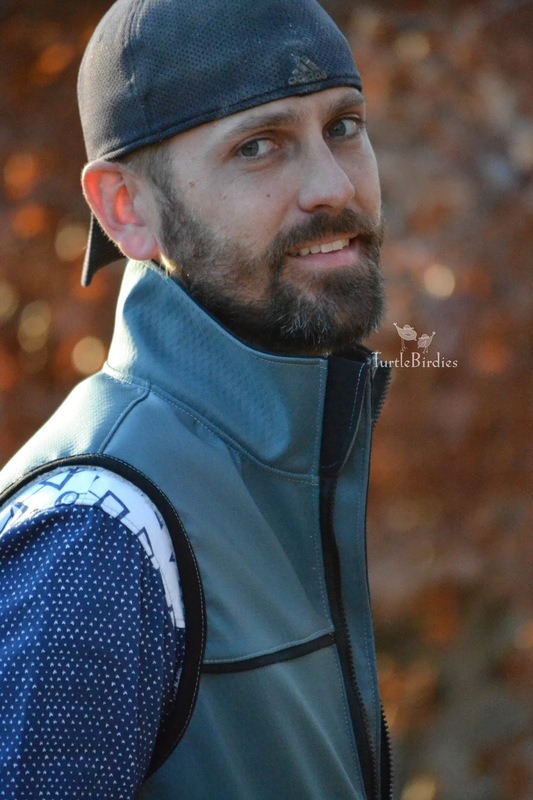 I would love to make the half time hoodie for my husband. Maybe color block some camo at the top. I just made the crew neck from the Half Time Hoodie pattern for a pajama top for my grandson and have another to do. It went together so easily and looks great. 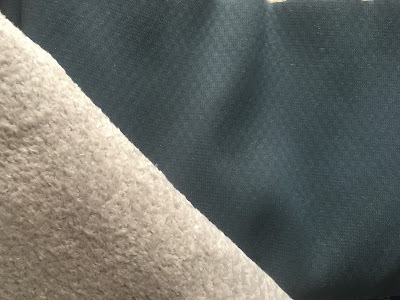 I think I'd like to do some color blocking or at least use 2 different fabrics but it looks great with the dark brown db poly. My all time favorite for me is the LDT. It is the only shirt I've made that fits without having to changes. I live in hot Florida and my daughter is expecting twins that she'd like to breastfeed. I would love to make her several X Factor Tanks for the upcoming spring and summer to see how the likes them.